With so many intricate complexities, cricket is perhaps one of the most complicated sports to bet on. There are many factors that can have an effect on cricket betting markets and outcomes including ground size, the state of the wicket, the country, the weather, humidity – and that’s just the external environment. Then there’s form, confidence, strategy, shot selection, fielding positions, spin, pace and swing to factor in. The list is endless, and unless you know your reverse sweep from your cover drive or your doosra from your googly, cricket betting can seem quite tricky. The good news, however, is that certain factors are more predictable. For example, Asian teams will always be strong in the subcontinent on dusty, spinning pitches. In England, the ball is more likely to swing around early on, while in Australia, pitches often have more pace and bounce. In terms of outright markets, a series winner, along with a series correct score and a top wicket taker/run scorer for each team is usually available. These latter markets can often be profitable – for example, fast bowlers should take wickets on hard, fast Southern hemisphere pitches, spinners will always take wickets on the subcontinent and swing bowlers will often prosper in England. In the batting department, certain players often favour specific formats. Power-hitters favour Twenty20, stroke-players flourish in one-dayers, while patient, technical players are a good bet for Tests. Bets on the top series run-scorer usually give shorter odds to a player batting higher up the order, because, in theory, they will have the most opportunities to score runs. However, for teams like England, who load their one-day middle order with power-hitters like Eoin Morgan and Jos Buttler, the openers won’t necessarily get the most runs. In ODIs, the ball often swings more early on, but conditions become more benign by the time the middle-order arrive at the crease. In some ways, Twenty20 cricket has added to the complexity. However, in-play markets can bear fruit if the conditions are right for run-scoring and six-hitting. One of the best in-play odds is the over/under market for runs scored off one over. Odds are generally around 5/6 for both, with the runs required varying on the situation. In Twenty20 cricket, it takes a brave gambler to back the ‘under’ figure, even on a slow wicket, for runs are typically aplenty. In the powerplay overs especially, when a certain number of fielders must be inside the ring, big-hitters will exploit these restrictions, especially when boundary ropes have been brought in a few yards like in the IPL. 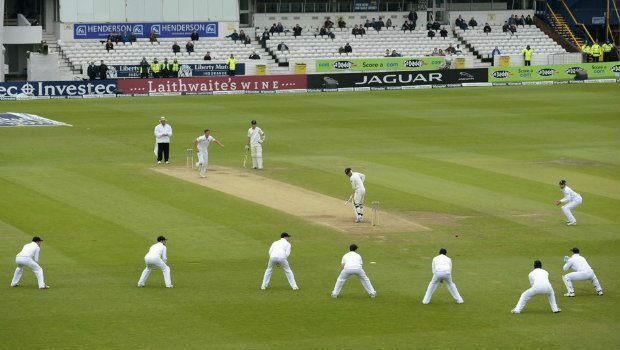 If a batsman gets to the crease, settles quickly and starts to hit boundaries, backing ‘over’ is a no-brainer – providing the opposition’s star bowler isn’t bowling. Like all cricket markets, it's about playing the situation. But often in T20, organisers set up the pitch, wicket and boundaries to give the spectators what they want – lots of runs, boundaries and big hits. After all, it’s a batsman’s game.